Blessing of Presence is illustrated by people being healed when Peter’s shadow fell on them. This video explores how we can grow in that kind of power. Cost includes 428 days of access after purchase date. Elijah had to intercede vigorously seven times for the drought to break. That is a common discipline and dynamic in the Body of Christ. 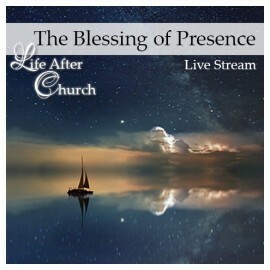 The Blessing of Presence is when something changes in the spiritual realm or in creation without your making any effort for it to change. The Blessing of Presence has wide application. For one individual, when he is in the city there is no murders. For another individual, when he is present, the weather changes. Another individual changes the economic climate when he is present. All of these are done without any effort by the person in question. There are specific steps that we need to follow in order to highly develop the Blessing of Presence that God has given us. The Holy Communion service focuses on the Spirit of Chaos and includes specific warfare for breaking that spirit’s control over your time, your land and your marriage. You know the guy who causes contention just by showing up? Do you know someone who releases peace over the house, just by being there? Those are much more rare. What do you shift in the spiritual or social realm by your presence?